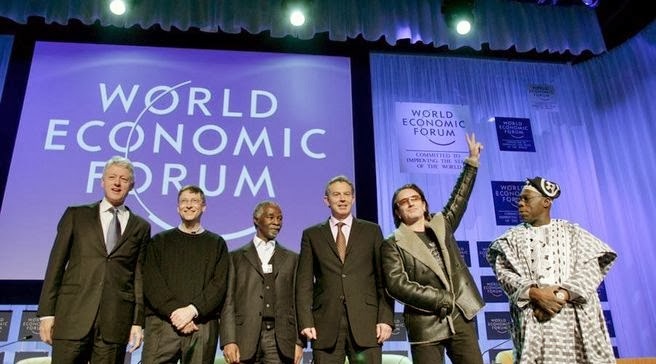 Davos 2014: Who is Wearing the Trousers? Surely one of the important roles the media plays in our modern society is framing the narrative, determining the parameters within which we understand reality. This week the world's media is doing an important job in normalising a situation where politicians who should be representing us are instead subjugating themselves to the elites who gather annually at Davos. In my recollection the role of the journalist at this point would be to challenge a situation where the most important decisions about how our economy will evolve over the next few years are being made by a group of self-selected wealthy people inside a ring of steel in a Swiss ski resort. But times have changed and journalists no longer see their role as having anything to do with speaking truth to power or working for the common good. In the reality they are normalising through their breathless broadcasts their role is to rush about the expensive venue seeking out the most important, rich, or famous person that they can find so that we will be gratefully able to hear their views. This morning, for example, I discovered that Matt Damon found himself surprised by the youth of the Finnish Prime Minister. Thanks for that helpful insight into the leading issues of the day. It's not that I don't like Matt Damon or that I'm not interested in his opinions, it's just that in my version of reality he belongs in Entertainment just as Michael Schumacher belongs in the Sports section of the broadcast, and the weather belongs in, well the weather. When I pay my TV licence I think the news I am paying for should be about important significant events and how those who we have elected to run the country on our behalf are going to tackle them. Which brings me to David Cameron, who is making a speech at Davos today. You might ask why he is making a speech in Switzerland rather than Scunthorpe or Swansea or somewhere in this country where people have the chance to vote for him and people are expecting him to represent them. The answer is very clear: he does not believe that the economy is any longer subject to any sort of democratic control. He has gone to Davos to offer the services of the working people of Britain to a corporate boss and what he is offering is cheap labour with poor conditions and cheap energy with wasted environments. If the Davos elites need fracking we'll give them fracking. Surely even Tory voters are horrified by this lack of self-respect in our country and our citizens. Are we so desperate that we have to send our politicians to Switzerland with a begging bowl to rattle in front of the corrupt and exploitative corporate elites? But our current politicians are working hand in glove with the corporations where they will take up well-paid non-executive positions when they retire, having worked for them undercover during their time in office. This unhealthy relationship has seen our resources privatised, our public services destroyed, and now our creative energies being sold off to the lowest bidder. It is this process of undermining democracy through the use of economic power that I would like to see dissected by decent journalists working to challenge power rather than rushing about through marbled halls sycophantically seeking it out. Mr Cameron's performance at Davos today was dreadful! His smug look on the way out of the room said a lot. His biased and unsubstantiated words on growth, global trade and fracking filled me with despair for my children and grandchildren. 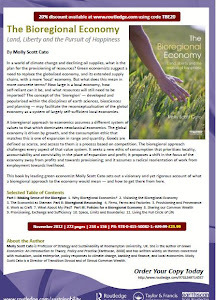 The end war for the current economic model is certainly turning nasty.